It was an all nighter of heavy breathing on the first night at home. A night to remember. A new fumbling bumbling nurse, father breathing like he was possessed, and me just watched them with exhaustion all night. And there, it stopped in the morning. After a couple of days of just watching him obsessively, figured he breathed so when passing urine. However did not know if the heavy breathing caused him to pass urine, or passing urine caused him to breath rapidly. All I knew was they were connected. Since IMC was usually done first thing in the morning, there was no frequent heavy breathing during the day. Ha, there, the explanation why the episodes occurred mostly during the night. It was because there was so much urine retention in the night and he was struggling to pass it and hence the frequency. But why was the interval between so timed, I still do not know. So we then started him on IMC three times a day –early morning, evening and post mid night. Late night IMCs were always a challenge for the nurse, and for us who were perennially sleep deprived. The good news - not an another all night heavy breathing episode. Mind you, he still had heavy breathing during the day and the night. It wasn’t just as close to the timed all night sessions. Smug we were with our discovery. Our urologist agreed with our hypothesis, said this was common for stroke or patients with neurological challenges. I showed him a video of our father breathing rapidly and he said he had seen it before. According to him this was partly prostate and partly a neuro issue. It was neuro since both the hemispheres in his brain were not coordinating with one another. Although we seemed to be doing everything right – sterile IMC, obsessive monitoring, medicine for ease of passing urine; we were still haunted with visits of frequent (maybe a bit too frequent) urine infections. Most doctors opined that such infections were common for patients confined to bed. The explanation somehow was at its unconvincing best. 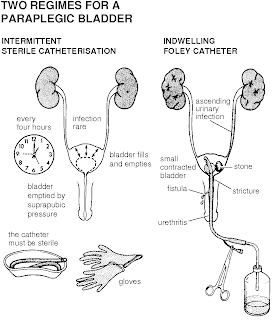 We repeatedly asked if we could just insert an indwelling urine catheter, since complete voiding was the problem. 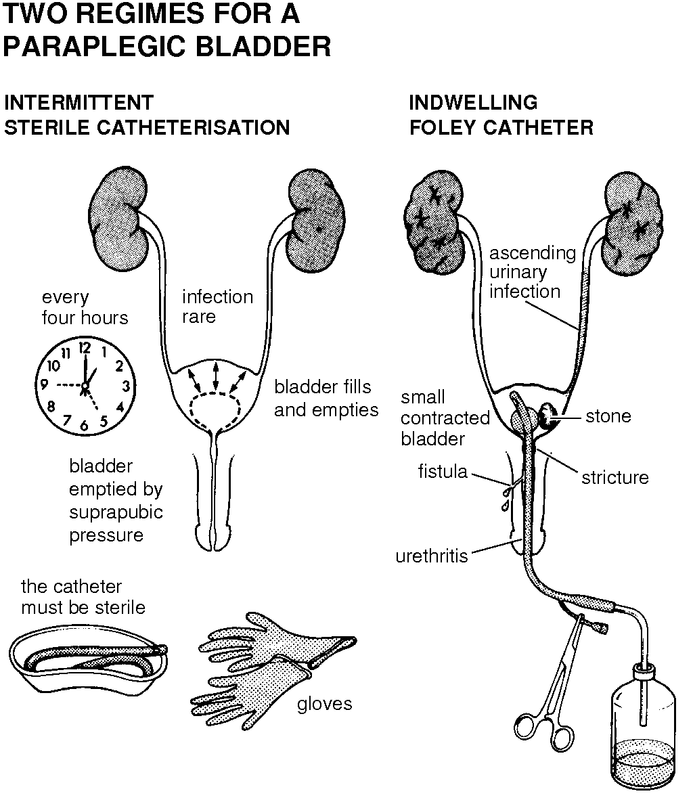 Indwelling catheter? Oh no no no! The experts professed higher chances of infection! Really? Are you serious? What did they think was happening right now? We have had infection for almost 7 out the 10 months since coming home. In all fairness the doctors were right to suggest that IMC was least infectious of all. Maybe so, but given our father's condition it wasn't the most suitable. As to why we encountered frequent UTIs, in my humble non medical opinion, I concluded the bacteria was ever present in his gut or bladder, if there was a trigger – say like physical strain on the body due to exercise or any other cause, the bacteria just multiplied to infinity causing the UTI. As expected most doctors shot down this idea, maybe rightfully, but I stick to my theory since no one has given me a better one.